Welcome to the Coo Coo Clock gallery at Bavarian Clockworks. 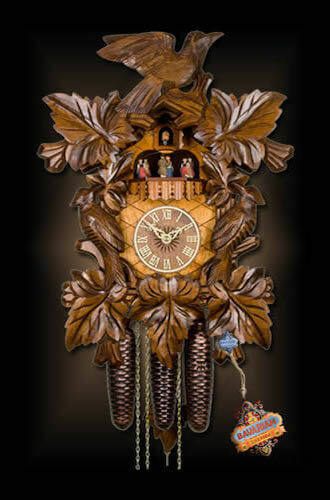 Many authentic German cuckoo clocks for sale in our online cuckoo clock shop can be found here. 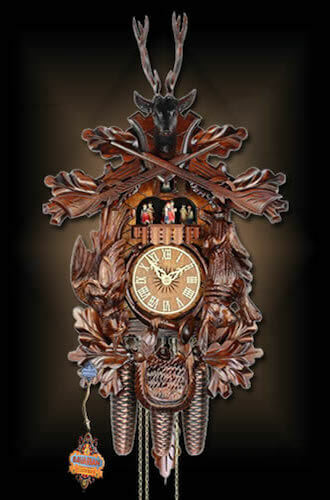 View contemporary cuckoo clocks, musical clocks, cuckoo clocks for kids, replicas of antique cuckoo clocks and much more. For additional details just click any one of the Authentic Black Forest cuckoo clocks below. Not quite sure what to look for? Stop by the resource center and check out our easy to follow guide 7 STEPS TO BUYING AN AUTHENTIC CUCKOO CLOCK and learn how to buy a Black Forest clock like a pro. The guide covers every characteristic of a certified German cuckoo clock including illustrations to help keep it simple.